But there is more. 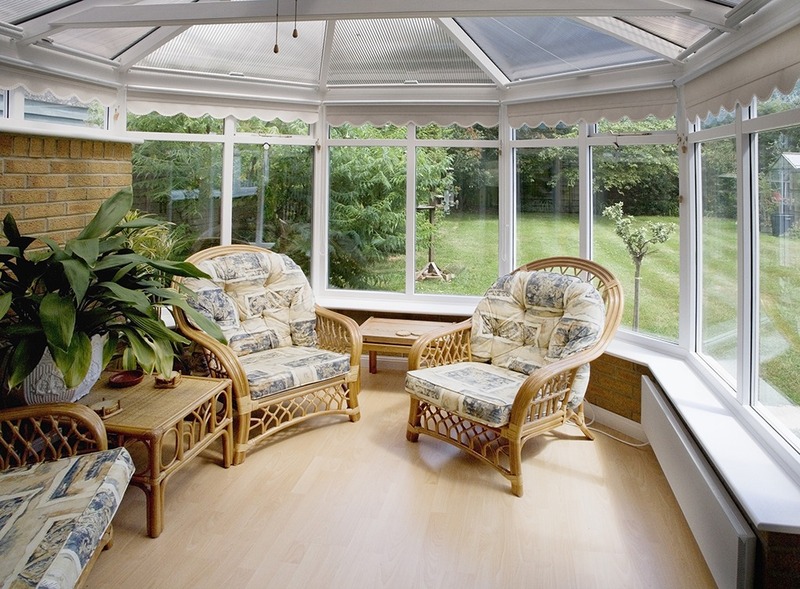 With all the comforts and security of the inside, a conservatory can take your home and life style outside. It brings the outside in. Literally, you can be surrounded by your garden, the sky, by nature itself. Come rain or shine, come snow or early morning dew, a bright day or starlit night, your home and garden can be as one – enjoy your conservatory. What is a conservatory but a valuable addition to anyone’s home, an asset to be proud of that will provide returns for years to come. Not just returns on investment, though that is a certainty but a many faceted pay back – more room, improved life style, greater enjoyment of the environment and your surroundings – an asset that is attractive and durable too. What is a conservatory unless it looks good and continues to look good. Top quality PVC-U profiles are used to produce a design that is attractive, immensely strong, easy to look after and will last a lifetime. Developed and produced by one of the industry’s leading companies there is an enormous choice of finishes, designs and appearances to suit any home, any environment. Then there is size and style. Victorian, Edwardian, sun lounge – which do you prefer? What suits your home and surroundings best? How big do you want it? The choice is huge, the possibilities enormous. Conservatories specially designed and carefully built with you in mind. Conservatories manufactured from PVC-U profiles are strong and durable. They maintain that “new” look for years with minimal maintenance. Certainly, painting with all the hard work, time and expense that goes with it is no more. Other than keeping glass clean, an occasional wipe of the frame keeps it looking good. Other items such as hardware, including handles, hinges and fixings are produced from stainless steel or other corrosion resistant materials. Country cottages, modern homes, period houses, Victorian dwellings and others. There are numerous different sizes, styles and types of PVC-U conservatory to suit your preference for adding to any home in any environment. Windows can be fixed or hinged, doors, single or double with sliding patio doors if preferred. The choice, quite simply, is yours. Then, there is colour. Frame materials can be a crisp white or in either of two woodgrain finishes, traditional Mahogany or chic Golden Oak. They may even be mixed with Mahogany on the outside and white on the inside – you choose. And the roof? 16mm multi wall polycarbonate in clear, bronze or opal finishes or for even better insulation, super efficient 25mm or 35mm thick polycarbonate in clear or bronze, 24 mm glass roofs – what suits you best? And what about glass for windows and doors? Energy efficient, double-glazed sealed units with toughened safety glass is standard. If preferred, fashionable designs in lead, possibly with coloured and bevelled patterns, Georgian bars or diamond cut styles can be easily accommodated. They are for you to decide. Sadly, intrusion and aggression can be part of modern life. What better than to come home to a conservatory to be proud of a, smart, warm, comfortable, safe and secure construction? Locking handles and secure glazing are standard on all windows with multi point locking systems fitted to all doors including sliding patio doors. Safety has not been ignored; all glass areas are fitted with toughened glass as standard to prevent accidental damage and the possibility of injury. No one wants to live in a fortified home with a fortified conservatory. 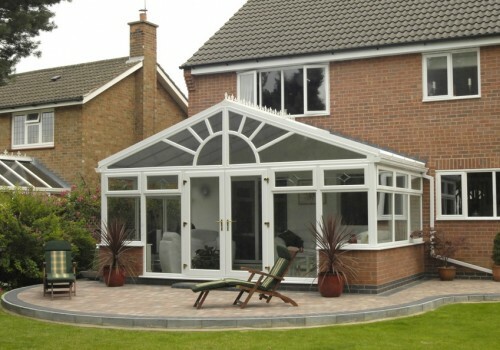 By incorporating “under the skin” engineering techniques, safety and security products have been thoughtfully developed and designed to be inconspicuous resulting in conservatories that look smart and as attractive as ever. No matter how viewed, A top quality, high performance conservatory is an investment that shows great returns. With a super appearance that suits you and your property they are a delight to use, comfortable and adaptable. There will be next to no maintenance and certainly no painting. What a pay back! You win all ways. All these benefits and a habitable area that can be used and enjoyed all year round. But that’s not all. 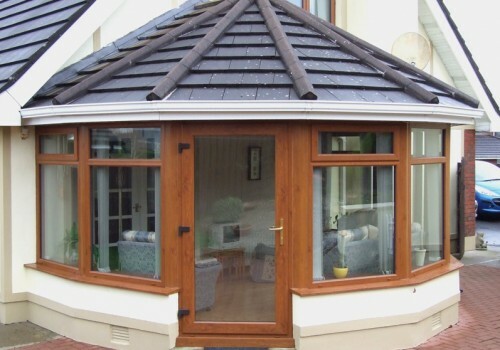 A strong, attractive, long lasting PVC-U conservatory completes a home. That extra dimension that adds value to the property.